Here’s where I’m at with Moon Glow for the moment. I was able to get all the foundation piecing done yesterday and now all I’ve got to do is piece all of these together along with the corners to make it a square. Then applique on the center. I’m not sure I’ll have the wherewithal to do hand applique after everything else so my goal today is to get every done up until that point. I’ll leave the hand applique for next weekend. For my stash report: Nothing Used, Nothing Added…. 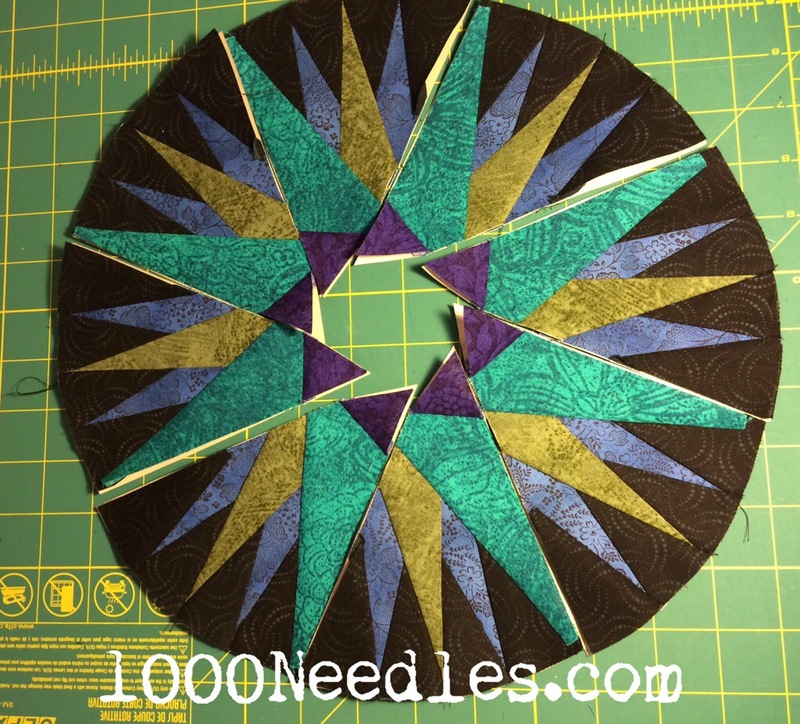 And if you haven’t heard already, I jumped on Bonnie Hunter’s page yesterday and saw that she gave the fabric instructions for this year’s mystery quilt! Woohoo! Time to go to Lowes for those painting cards and then I can go through my scraps and my fabric bins. This year the colors are yellow, pink, turquoise, and green along with Black and White. I can probably find pink and turquoise in my stash but I’ll probably need to purchase more yellow, green, black and white. I’m so excited! I love this time of year. I’m no where close to finishing up Celtic Solstice. I left it at step 5. As my BOMs taper off my monthly goal list, that will find itself back onto the priority list at some point.